Due to imminent regulation changes regarding the holding of personal data, the Club will shortly be sending emails to everyone requesting that they opt in or opt out to us retaining this information. Please look at this page to view our policy. Not sure if I’ve responded to your GDPR request, but please keep me on the WSDA database. 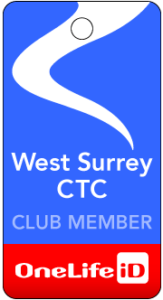 Many thanks for all you work as the Club’s Webmaster.